HOW MANY TEAMS ARE THERE AND WHAT ARE THE LEVELS? Lakeshore Football offers competitive full contact football Mosquito, Pee-Wee, Bantam and Midget, as well as a Flag Football Atom program. Atom Cougars and Atom Panthers (6 – 8 years) both play in the LFMM Football League at the Atom AAA level. Atom is “9-man” flag football. Mosquito (9 – 10 years) and Peewee (11 – 12 years) each field two teams, the Cougars AAA and Panthers AA. Our AAA Cougars at Mosquito and Peewee play “12 man” tackle football in the LFMM Football Div.1 League. Players born in 2007-2008 for Peewee and 2009-2010 for Mosquito will be starting at this level. If the coaches find it is not safe for this player at this level, then the player could be moved to AA. A high commitment level is expected. Our AA Panthers at Mosquito and Peewee also play “12-man” tackle football in the LFMM Football Div.2 League. This level is designed for 1st year players at the level of Mosquito and Peewee. I.e. Those players born in year 2007 for Peewee and 2009 for Mosquito. Bantam AAA and Midget AAA away games are mostly played within the greater Montreal area and may require travel to parks further away (e.g. St-Bruno, Laval or the South Shore.) A bus is provided for players and coaches for those games outside the West Island. Bantam (13 – 14 years) and Midget (15 – 17 years) has only one level, which is AAA. 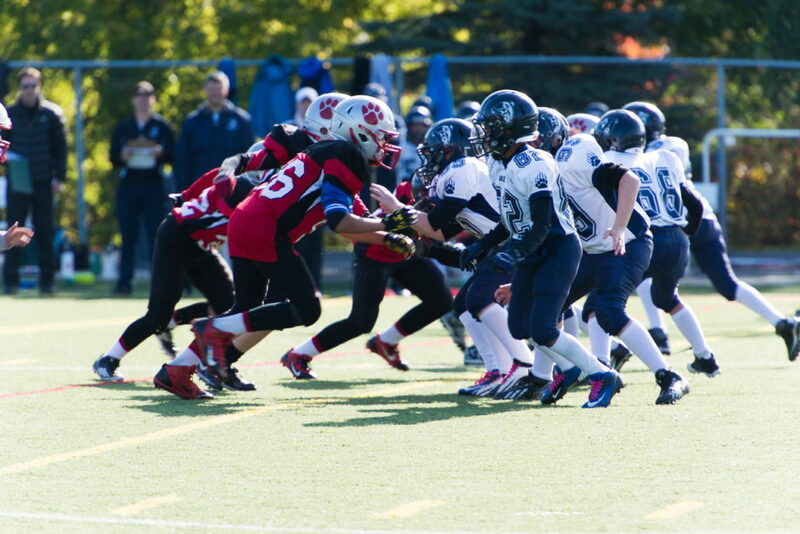 Both the Bantam & Midget Cougars play in the Quebec LFMM Football League. These are “elite” levels of competitive football and are considered the highest caliber of football available for players in these age groups. The Bantam and Midget teams tend to carry larger rosters in order to accommodate and develop more players. New players at this level are welcome and are encouraged to join. NOTE: Ages are determined as of December 31st. WHO CAN PLAY FOR LAKESHORE TEAMS? If you are between the ages of 6 to 17 and live in Kirkland, Beaconsfield, Baie d’Urfe, Sainte Anne-de-Bellevue, Senneville, Pointe-Claire, or Dorval, you can play football for Lakeshore. If you live in a “protected territory” such as Pierrefonds, Dollard, Roxboro, Ile Bizard, Ste. Genevieve, St-Lazare or Ile Perrot you must play for teams in that territory. Yes, many girls have played football for Lakeshore in the past. However, due to the physical nature of the sport it is not recommended that girls participate beyond the Mosquito level. CAN I PLAY CIVIL FOOTBALL AND SCHOOL FOOTBALL? No, Football Quebec strictly forbids players from signing both a Civil and Scholastic contract. MY CHILD IS NOT BIG FOR HIS AGE. CAN HE STILL PLAY FOOTBALL? Of course he/she can play!! There are weight limitations established by Football Quebec in order to match the physical stature of players. These weight limits apply at the Atom (110 lbs), Mosquito (135 lbs. ), and Peewee (165 lbs.) levels. There is no weight limit at Bantam and Midget. NOTE: Players are permitted to gain an additional five pounds during the season. IF MY CHILD IS OVER THE WEIGHT LIMIT CAN HE STILL PLAY? If your child exceeds the weight limit at contract registration time in August, he/she becomes eligible to play offensive line only. 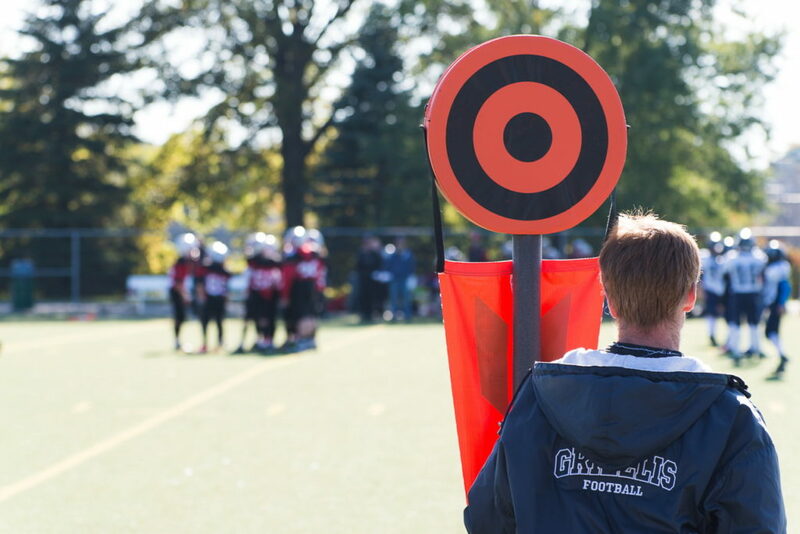 The Lakeshore Football Association always strives to have as many children as possible “make the team.” However, there may be instances where registration numbers go beyond the roster limits set by Football Quebec. In such cases, we will always try to accommodate all players through the use of practice rosters, if necessary. At most levels, all who register and pass the physical requirements of football will find a spot on a team, if registration numbers exceed available roster spots, cuts may be made. Equipment is provided for every player for the duration of the season. The equipment (helmet, chinstrap, shoulder pads, pants and jersey) is loaned to the player and must be returned to Lakeshore Football at season’s end. The only equipment you are required to purchase is appropriate footwear (i.e. cleats). Evaluations start indoors for some levels in March. Teams will typically practice outdoors from early May to early/mid June with the purpose of assessing players and placing them on the appropriate teams. Following the spring evaluations, teams will break for the summer and resume the regular season practice schedule in the first week of August. Games usually begin the third weekend in August. There are 9 or 10 regular season games on the schedule. Minor Football (ages 6-12) normally holds 2 or 3 practices per week. For example, a team may hold practices Monday, Wednesday and Friday from 6:30pm to 8:00pm. The Head Coach at each level can confirm the frequency of practices. Most minor practices are held at Smiley Park “Field Turf” which is adjacent to parc des Benevoles. Inter-City (ages 13-17) football practices run from 6.45 pm to 8.45pm, 3 times a week. All Inter-City practices are held on the “Field Turf” at parc des Benevoles. There is usually one game per week which is held on the weekend. On occasions such as Labour Day or Thanksgiving, there may be two games (e.g. Saturday and Monday) . 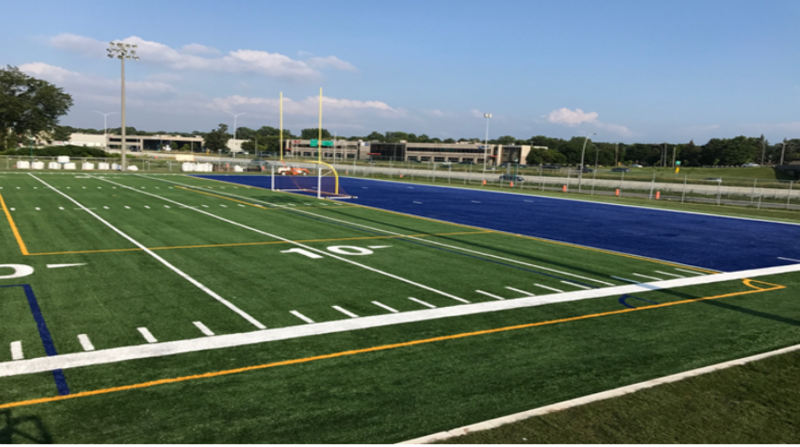 All home games are played on the artificial “Field Turf” field at parc des Benevoles in Kirkland (Highway 40 and Jean-Yves, across from le Colisee Kirkland). Away games for Atom AAA, Mosquito AAA, and Peewee AAA are played at opponents home fields in the West Island (St-Lazare, Vaudreuil, and Ile Bizard). Away games for Mosquito AA and Peewee AA play at St-Lazare, Vaudreuil, Chateauguay and LaSalle. The regular schedule will end around Thanksgiving. Depending on how far a team advances in the playoffs, the season could run until late October. If a team reaches the Provincial final you can expect to play an additional 4 to 5 playoff games right into November. Research studies have shown that if players are properly equipped, properly instructed, and properly supervised there is little difference with regards to injury risk between youth football, hockey, soccer and many other sports. However, should your child incur an injury during a game, Lakeshore Football contracts for the presence of a qualified Sports Therapist at all games and most practices. There are different costs for each level but generally fees range from $250 (Atoms) to $425 (Midget). These fees include “team budget charges” such as drinks/oranges or the players, a sports therapist at games, trophies for each player, a team photo, and a team banquet in January. Our fees are all inclusive and cover everything required to play with the exception of footwear. We do not ask parents to fundraise, however we do expect parents to volunteer to run the canteen for one half game during the season. Alternatively, you can download from our website LFA Inscription 2019 Registration or pick up the registration form at our office location at 16849 Hymus Blvd in Kirkland H9H 3L4. Forms can be filled out and mailed or dropped off with your payment (check payable to Lakeshore Football) through the mail slot or in person on Tuesdays from 6-9 PM, Wednesdays from 12-2 PM and Saturday mornings from 9-noon. IF I MISS SPRING CAMP CAN I STILL SIGN UP AND PLAY? Technically speaking, players can sign a contract for football until the submission deadline date which is October 1st. However, we strongly recommend that you register as early as possible (spring) in order to benefit fully from the experience of the full season and to assure yourself a spot on a roster. WHAT IF MY CHILD REGISTERS AND AFTER A FEW PRACTICES DECIDES THAT HE DOESN’T WANT TO PLAY FOOTBALL? If, after registering and attending a few practices, your child decides not to play you will receive a refund less an administrative and insurance fee. A refund will only be issued once all equipment is returned. DOES FOOTBALL QUALIFY FOR THE CHILD SPORTS TAX CREDIT? Yes, a receipt will be sent to you by Lakeshore Football after the end of the season. The Lakeshore Football Association is a community oriented organization and we are always in need of volunteers. 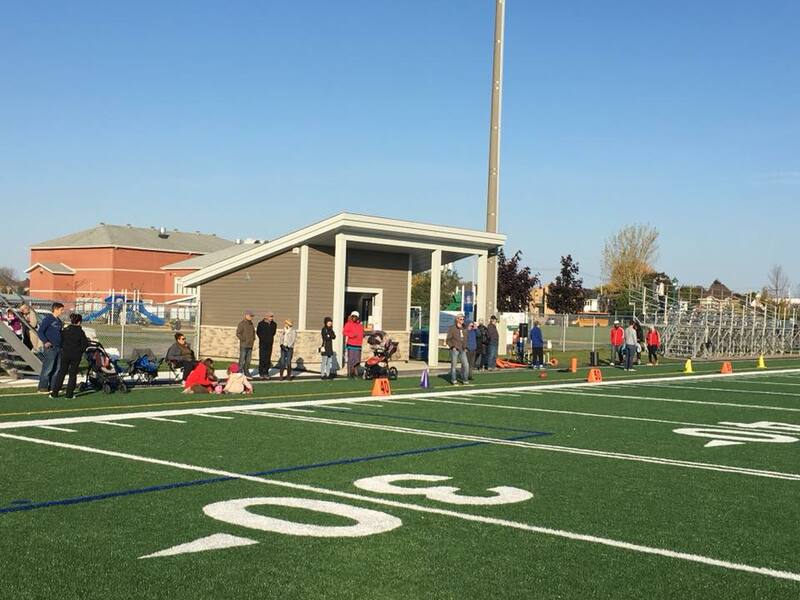 There are many areas where you can “join the Lakeshore Football family.” Examples of volunteer duties include coaching, administration and registration, fund raising, canteen volunteer, timer/scorekeeper, team manager and on field duties (yardsticks).